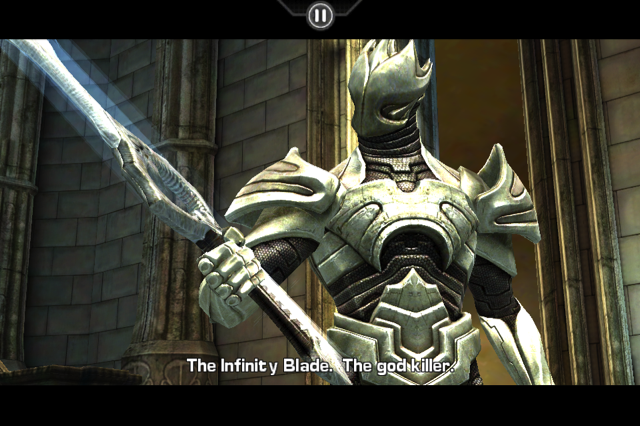 One of the most highly anticipated iOS games, Infinity Blade, was released four days ago. From the makers of Unreal Tournament, Infinity Blade sports some of the best graphics you’ll ever see on an iOS device, especially on the Retina Display of the iPhone 4. According to Appleâ€™s Game Center, as of this evening (Dec 12) there are 271,424 [274,768] users that have played Infinity Blade. The app sells for $5.99 large. At those figures, the app has generated $1,625,829.76 $1,645,860.32 [updated] in sales in just 4 days. The previous record was set by Cut the Rope with over $1 million in 10 days. With their 70% developer profit share, Epic Games just made $1.15 million US in 4 days. These numbers rival what traditional console games can do. Considering the amount of work put into Infinity Blade, the $5.99 pricing is quite aggressive when you think about it. This game will definitely be up for one of the top iOS games of the year. Game development on iOS has reached an all time new standard in terms of graphics with Infinity Blade. The next update will bring multiplayer, new map areas, equipment, and enemies.